Ubiquitous Computing is an exciting area that aims to promise pervasive and reliable computing solutions and communication services anytime and anywhere. Ubiquitous Computing fuses multiples lines of scientific and engineering research, providing significant interests from both academia and industry. The emergence of this technology is a natural outcome of research and technological advances in a wide variety of areas including wireless and sensor networks, embedded systems, mobile computing, distributed computing or agent technologies. 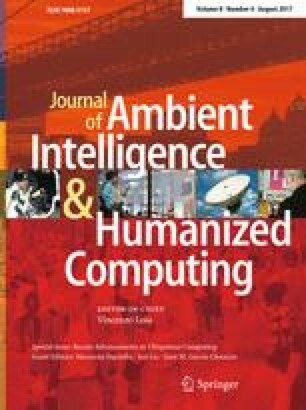 This special issue, conceived during the 9th International Conference on Ubiquitous Computing & Ambient Intelligence (UCAmI 2015), held in Puerto Varas, Patagonia, Chile from 1st to 4th December 2015, comes from an open call that pursued a representative collection of recent advancements within ubiquitous computing. These eleven papers show an interesting variety of applications, each of one addressing a different alternative technique. We hope that the readers will find new inspiration for their research from this special issue. The first paper, “Interpreting human activity from electrical consumption data using reconfigurable hardware and Hidden Markov Models”, presents the design and development of low cost and embedded hardware tools to obtain disaggregated power consumption with the aim to interpret human activity, providing successful results. The second paper, “Self-configuration in humanized cyber-physical systems”, proposes a new self-configuration technology that uses simple binary operations in order to reduce the convergence time, improve the scalability and address the dynamism introduced by humans into cyber-physical systems. The third paper, “Human aspects of ubiquitous computing: a study addressing willingness to use it and privacy issues”, identifies the human aspects related to ubiquitous systems, focused on people´s willingness to use them and privacy concerns, offering relevant and not evident information. The fourth paper, “Multi-resident activity tracking and recognition in smart environments”, proposes two different approaches in order to tackle the multiple resident and concurrent activity recognition problem in smart homes equipped with interaction-based sensors and with multiple residents based on the use of a factorial hidden Markov model as well as a nonlinear Bayesian tracking. The fifth paper, “Extended body-angles algorithm to recognize activities within intelligent environments”, proposes a method able to recognize movements through single samples of modeled movements using a Kinect device. The provided results in the evaluation and comparison demonstrate the potential of the proposed method as a good option to perform recognition of postures and movements. The sixth paper, “Don’t go in there! using the APEX framework in the design of ambient assisted living systems”, presents an approach to design ambient assisted living systems that is illustrated through the design of a smart environment within a care home for older people, providing also the set of lessons learned for the future design of ambient assisted living systems. The seven paper, “Facial expression recognition in ageing adults: from lab to ambient assisted living”, presents an application that uses a webcam and aims to recognise six basic emotions (happiness, sadness, anger, fear, disgust and surprise) as well as a neutral state of ageing adults from their facial expression in real-time, obtaining a suitable classification system. The eighth paper, “A distributed bug analyzer based on user-interaction features for mobile apps” proposes a distributed bug analyzer that uses digital imaging processing to find bugs by using an interest point detector and descriptor for image comparison. An interesting case study is conducted with 38 applications. The ninth paper, “A systematic literature review about technologies for self-reporting emotional information”, studies the technologies used for emotional self-report as well as the issues regarding these technologies, such as privacy, interaction mechanisms, and how they are evaluated. The tenth paper, “Optimal hybrid broadcast scheduling and adaptive cooperative caching for spatial queries in road networks”, presents a proposal in order to handle the environment effectively when the data objects are increased to a large number in broadcast system and physical restrictions of clients which include low bandwidth, mobility, limited energy and capacity. The eleventh paper, “Automatic recognition of the American sign language fingerspelling alphabet to assist people living with speech or hearing impairments” proposes system based on tracking devices focused on leap motion and intel realsense for signs recognition. The paper presents an extensive evaluation in which remarkable recognition accuracy was achieved with selected signs. The guest editors would like to take this opportunity to thank all the authors for the efforts they put in the preparation of their manuscripts and for their valuable contributions. We wish to express our deepest gratitude to the referees who provided very useful and thoughtful feedback to our authors. Finally, our sincere thanks go to the Editor-in-Chief, Prof. Vincenzo Loia, of Journal of Ambient Intelligence and Humanized Computing for his kind support, advice, and encouragements throughout the preparation of this special issue.